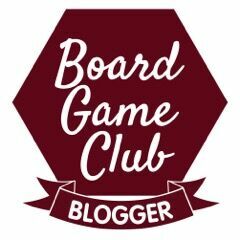 For this month’s Asmodee Board Game Club we were sent When I Dream. What I love about Board Game Club is trying games that we have probably not heard of before and it also encourages us to have a games afternoon, especially when the weather has been so horrible. To set up the game, place the board in the centre of the table and place the bed in the middle of the board. Shuffle the dream cards and place on the bed and cover half of the elements with headboard, these halves will not be used during the game. At the start of a new game the oldest person becomes the dreamer and uses the mask. 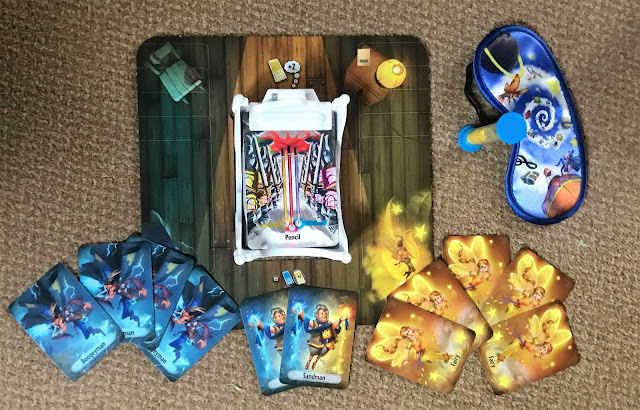 Depending on the number of players, other players are then dealt a dream spirit card, they will either be good, naughty or trickster. The rest can be returned to the box as they are not needed. The other players then select one dream card and by saying one word to describe the element, each in turn, the dreamer has to guess. If they guess correctly the dreamer then places the card on the good spirits side of the board or if incorrect the naughty spirits side of the board. Once the round is complete it is time to add up all the points. 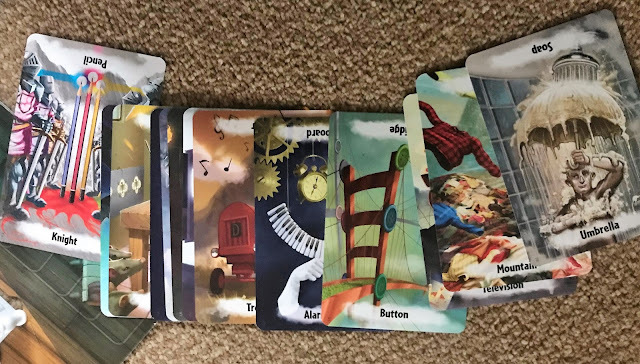 The dreamer and good spirits receive a point for every card in the good spirits pile and the same for the naughty spirits pile. To end the game the dreamer can use all the words he guessed to tell his dream, this will give him more points. The winner is the player with the most points. This game is beautifully illustrated with a simple concept, but also lots of fun. 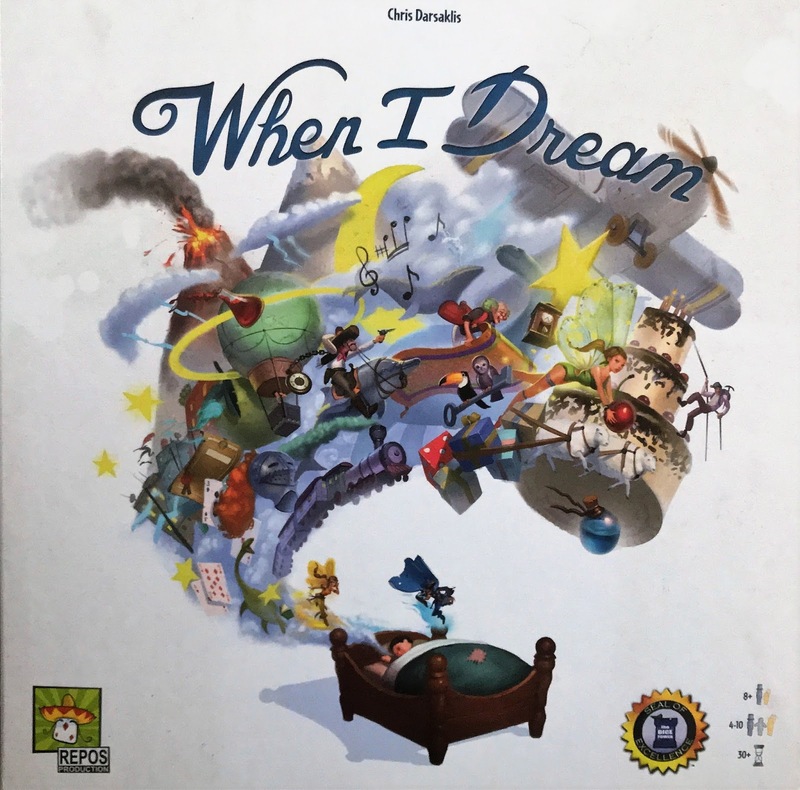 When I Dream is available from Amazon priced £21.50. We were sent this game free of charge but the opinion is our own.